But in the wee hours of the night, he was a copper wire thief, so good he could make $1,000 to $5,000 every three days, enough to pay his bills and support his crystal meth habit. To cover his tracks, he constantly lied to his wife, his three kids, his boss and his partners in crime. 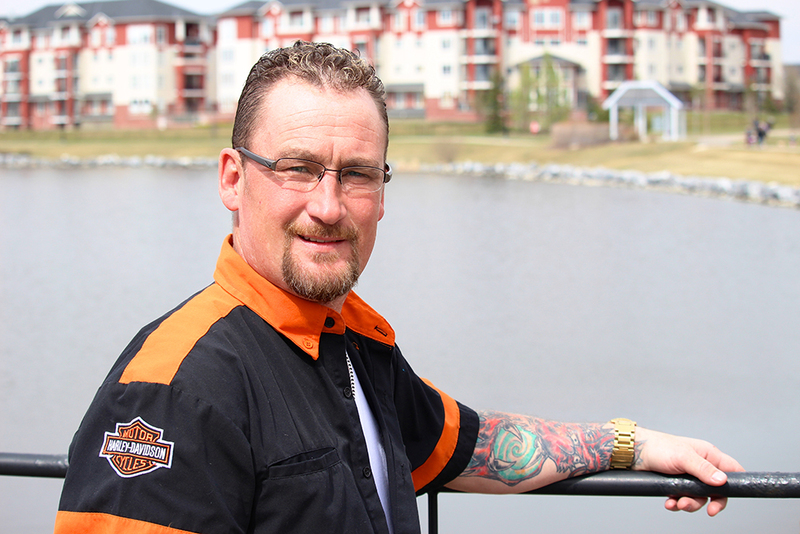 Facing a potential three-year sentence, Pat quit his meth habit, sought treatment in Narcotics Anonymous and went to Calgary Drug Treatment Court, even though he wasn’t initially accepted into the program. Drug-free since 2012 and a graduate of the drug court program, Pat now coaches his kids’ football teams, takes them camping and dirt-bike riding. He enjoys giving back to the addict who still suffers and finds the service component of Narcotics Anonymous keeps him clean. “I’m heavily involved in my kids’ lives, and my wife has stuck with me. I’m also heavily involved in the drug court. I’m not begging for the judge’s mercy any more. I’m sitting across the table from him as the ‘alumnae chair’. I’m also very involved with Narcotics Anonymous as a regional rep.